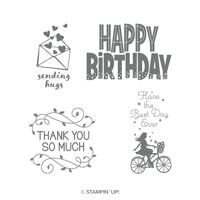 Tuesday 23rd October - we're having a One Day birthday sale with 15% off selected stamps. Head on over to my online store, click the sale section and grab yourself a bargain. 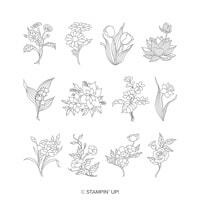 Here's some pics of just a few of the stamp sets that are in the sale. 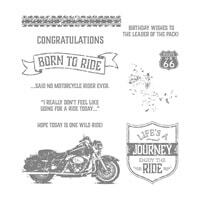 Shop online now if you'd like to get some stamps on sale. Or email your selections through. Birthday weekend at our place with John turning 50 and Hannah turning 16. It was lovely to have the extended family over for a celebratory lunch and lots of cake. And leftovers as well to get Monday off to a yummy start. :-) I hope you had a great weekend and that your week has started well. Tuesday means Colour Creations time and this week the AWH team are featuring the colour Garden Green. This is another colour I tend not to use that often. I'm loving this colour challenge each week which is prompting me to reach for a few of my less frequently opened inks! Don't you find you often end up using the same colours over and over. It is nice to step out of the regular habit sometimes. 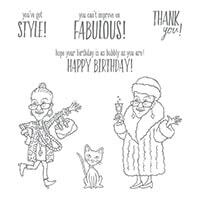 I've used the Delightfully Detailed Note Cards and Envelopes - one of the Blackberry Bliss cards. 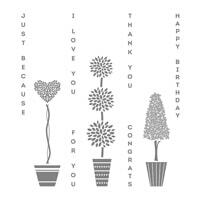 The leaves are cut from Garden Green cardstock using two of the leaves framelits from the Frosted Bouquet pack. To add another dash of sparkle I've used a brush to add some stripes of shimmer paint to the notecard bases. Some wink of stella glitter pen on the flowers too. Always nice to have some extra shimmer and shine isn't it. 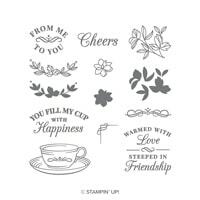 The greeting and flower stamps are from Cake Soiree stamp set. Head on over to Catherine's blog (click here) to see the rest of the Garden Green creations from our talented team. Back again with another in my "Sue's Stamping Technique" video series. Today we're doing a bit of a variation on the Faux Silk technique from my last video. This one is great for toning down a bright, vibrant DSP if you'd like a more subtle background for a project. PS: Like it? I'd love it if you could give it a thumbs up. Wink - thanks! Still finding my feet with videos but I've just finished the first in a planned series - Sue's Stamping Technique Tutorials. We're kicking off with a nice easy one - Faux Silk Technique. If you've not tried this one before, here's some step by step instructions for making a lovely textured feature for your next card. Have you got a stamparatus? 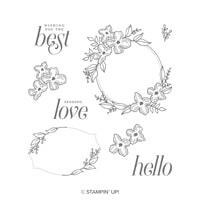 It is such a great stamp positioning tool with lots of snazzy features. 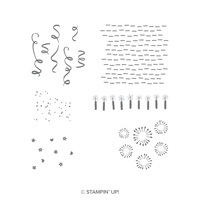 Now Stampin' Up! have brought out some accessories to go with it. Here's Brian from head office to tell us about the accessories and show a nifty card making use of all the great features. 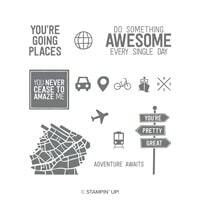 The new accessories you can get are a pack of 50 small grid paper squares - sized to fit perfectly in your stamparatus. Inches on one side and cm on the other. Very handy. You can also get replacements now or spares of the foam mat, stamparatus plates and magnets in case any of yours gets lost or damaged. Spare plates are handy I think. 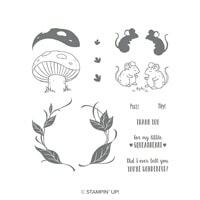 You can keep one lot of stamps all set up in position if you're doing a big run of a card, and still have spare plates for day to day stamping of other things. 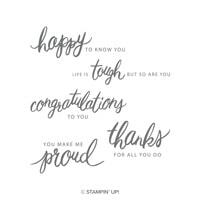 To help us all celebrate World Card Making Day on October 6th Stampin' Up! have got a sale happening this week on a selection of great products. Card kits, note cards and envelope packs, DIMENSIONALS - yay, and some stamp sets. I hope you had a lovely weekend. We got a bit inspired by the gorgeous spring season to get out in the garden this weekend - it was in need of a bit of love. Lots of weeding, some planting and some transplanting, plus we spread 2 cubic metres of mulch. I think we all discovered a few new muscles! Have a terrific month. I'll be back tomorrow with our Colour Creations card for this week.